If you are looking for affordable cleaning services, you are in the right place! We are an award-winning cleaning company in the GTA! 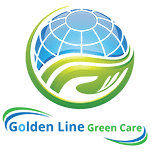 As Golden Line family, we are aware how important airflow is for you and your family. If you decide to go with one of our duct cleaning services, we’ll give you a free Dryer Vent Cleaning or Central Vacuum Cleaning. You can choose which free cleaning service is best for you! A central vacuum system operating at full efficiency is a handy addition to any household, but, so as to maintain optimal function, routine cleaning of the entire system is recommended. Our licenced technicians can help your central vacuum to last longer. When you purchase a duct cleaning service, this service will be free of charge. We are so confident you’ll love our cleaning services, we are offering a new year deal for our first-time customers. Keep in mind that, this is a limited time offer. This offer expires on 02/28/2019. So hurry up, take advantage of this carpet cleaning deal before it expires. For our loyal current customers, we will be offering another exclusive deal seasonally to help you save money. We are an eco-friendly cleaning company so no need to print the coupons and waste paper. Simply mention the online promotion when placing your order. Check out this page regularly for new promotions every new season or better yet, follow us on social media.